The weekend is here friends, and I have a little something to help kick it off - low calorie cocktail recipes. 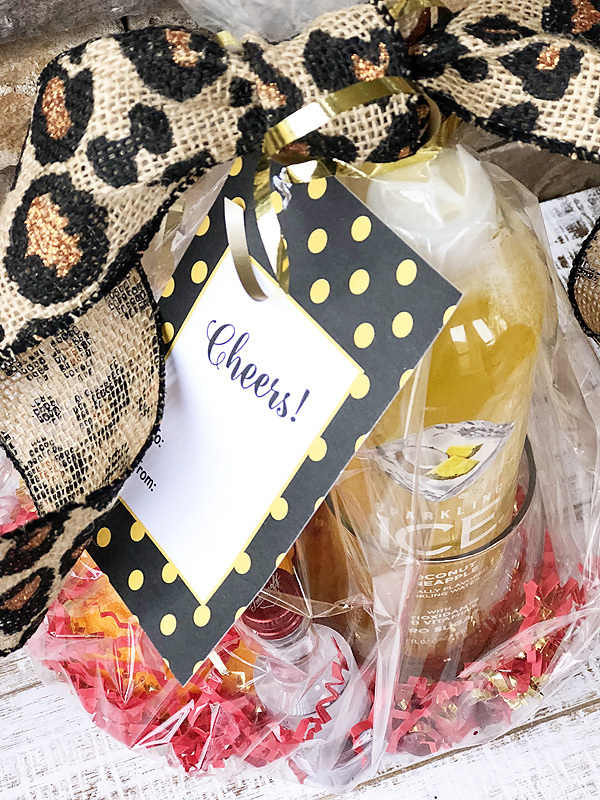 Today we are chatting about my favorite sparkling drink and how you can use it as a base to make a few of your soon to be favorite cocktails. That's right - I'm taking mommy juice to a whole new level. A little background first. A few years ago I gave up caffeinated sodas cold turkey. In my head my plan was to drink only water. But, while I was glad to give up soda, I quickly grew bored of just plain water. I realized I craved something with flavor and/or carbonation. 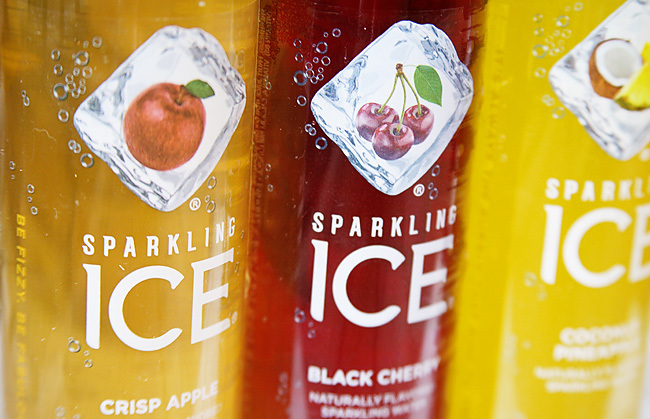 Carrie Beth actually suggested Sparkling ICE. Her girls liked several of the flavors and after chatting with them, they told me which were their favorites. Soon a love affair began with me and the Coconut Pineapple flavor. It is so good! I literally have one every single day. 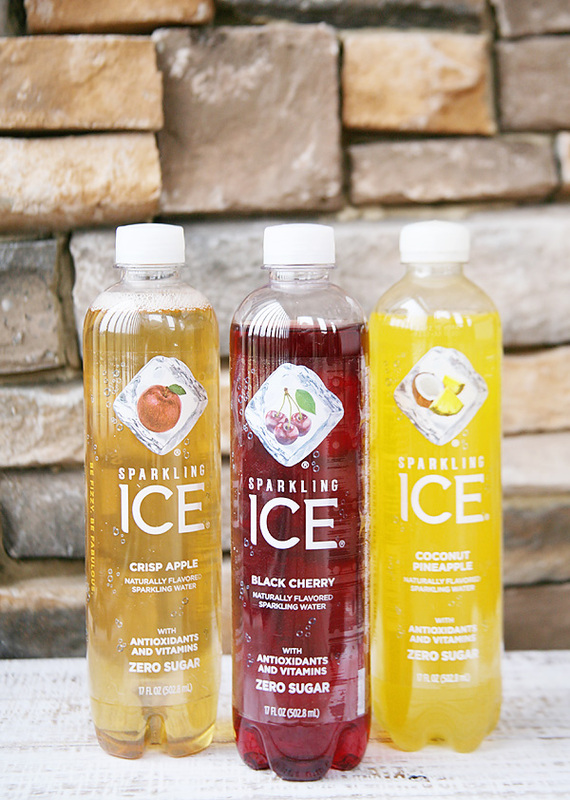 I've tried a variety of the Sparkling ICE flavors, and you can't go wrong with any of them. I have a few clear favorites and even order them in bulk via Amazon's Subscribe & Save program. As a Prime member I save 15% off and get my favorite drink delivered directly on my doorstep. Mom win for sure! If only everything in life were so easy. Not only do the Sparkling ICE drinks give me a great alternative to just boring plain old water, but they have a few other benefits as well. They are naturally flavored and the colors are derived from natural sources. They contain zero sugar, have zero calories, and are packed with vitamins and antioxidants. All such an added bonus to its already great taste! 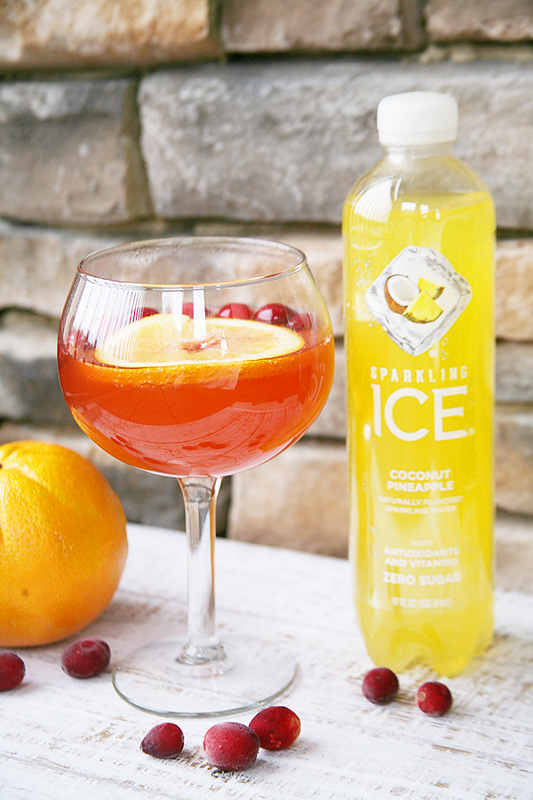 One day as I was mixing a different kind of mommy juice, I realized that the Sparkling ICE waters -with their fizzy goodness - would actually make for a great cocktail base. And as a bonus, if you mixed them right, they would be lower in calories and sugar as a result of using them as alternatives to juices or other mix-ins. I pondered and then made it my civic duty to give this a whirl. It was a tough job, but I was so here for it. 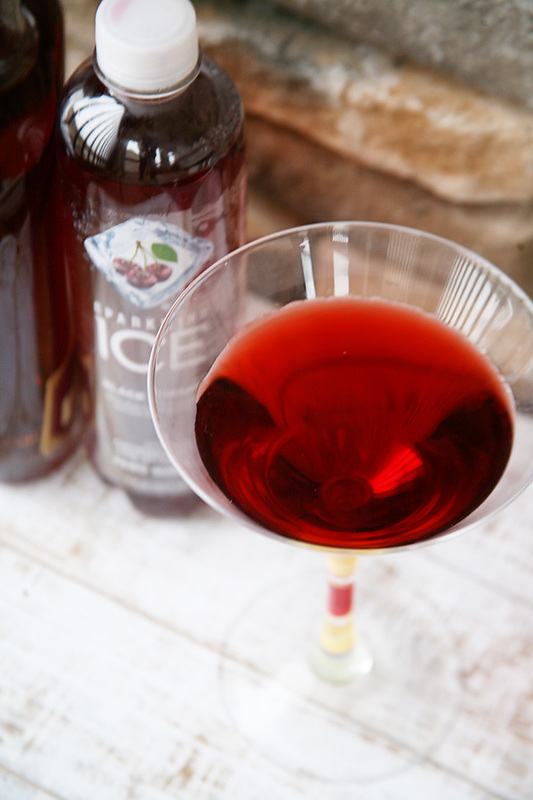 After many committed taste trials, I came up with three great festive holiday cocktail options. All low in caloric intake, and all so yummy you wouldn't care anyway. 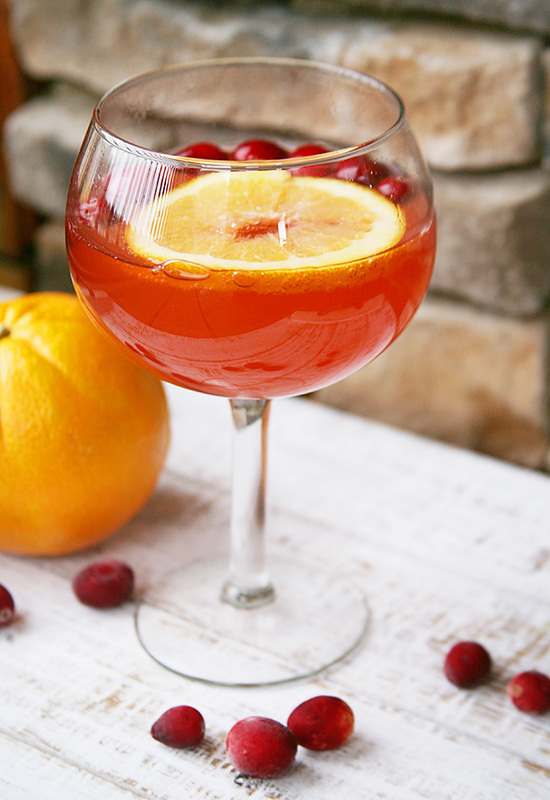 In a large glass, mix all juices together. 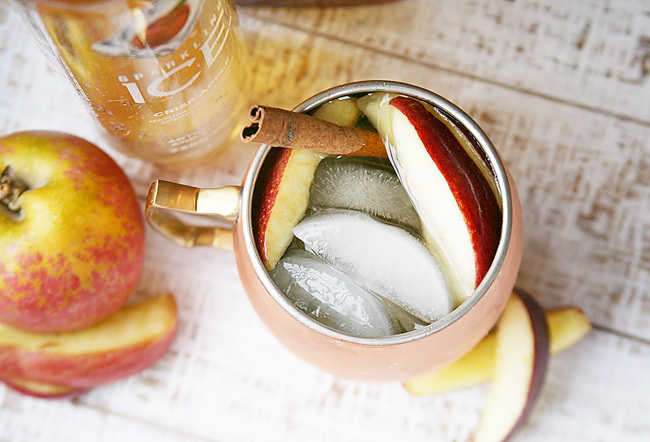 Stir in vodka. Garnish as desired and serve chilled. 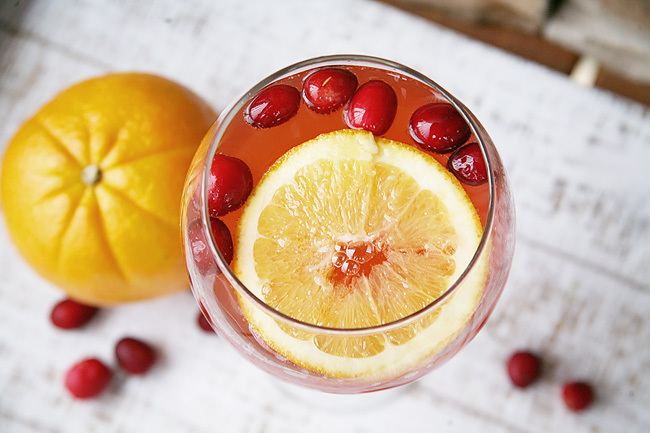 Note: If making a large batch freeze your cranberries and they not only help to garnish your holiday drink, but also help keep the punch cool for a little while. 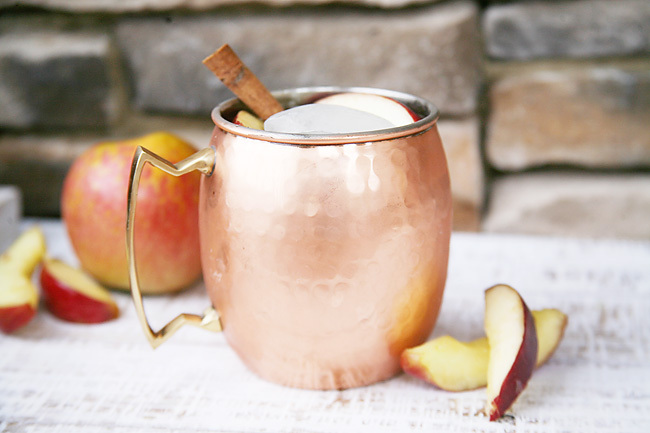 Pour Sparkling ICE Crisp Apple, Ginger beer, and vodka over the ice. 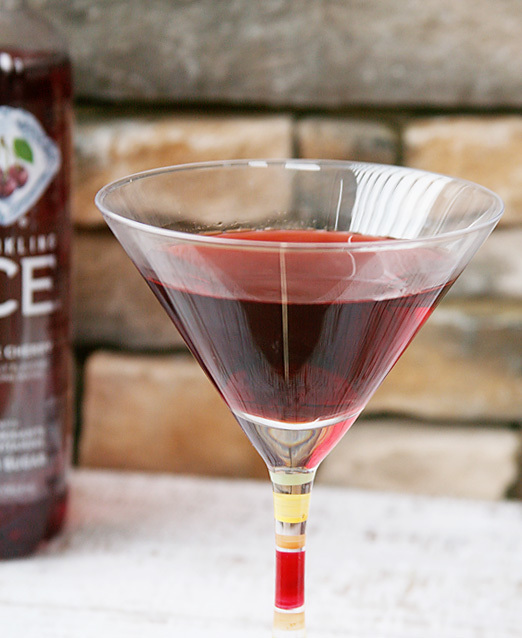 Place Sparkling ICE Black Cherry, bourbon, and Kahlua in a cocktail shaker with ice. Garnish with cherry and serve immediately. Note: This drink is typically topped with a whipped cream or garnished with chocolate, but to keep it low calorie I removed those. Same great taste, but if you aren't worried about the calories or sugar portion of the cocktail then go ahead and add them back in. It's quite tasty both ways! CHEERS! FESTIVE FIZZ FOR EVERYONE! 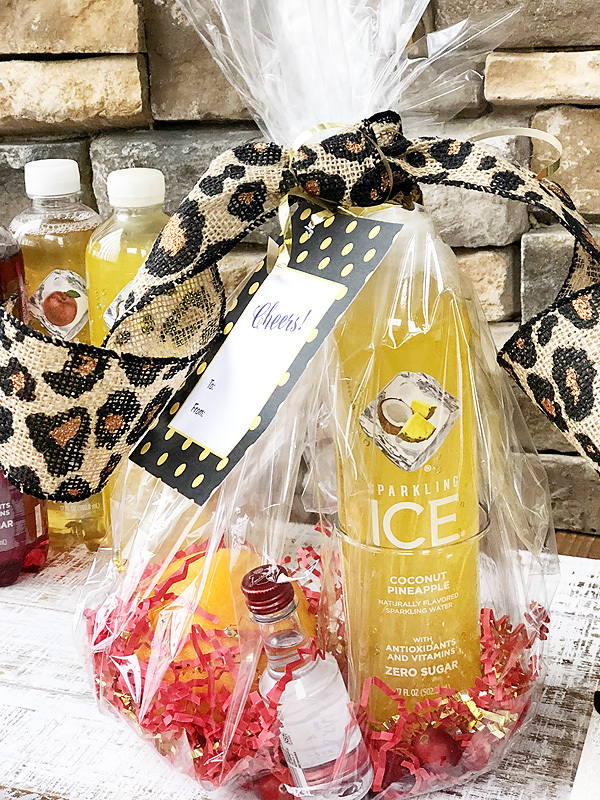 While on my mission to craft the perfect holiday cocktails, I thought each one would make for a great holiday gift idea too. 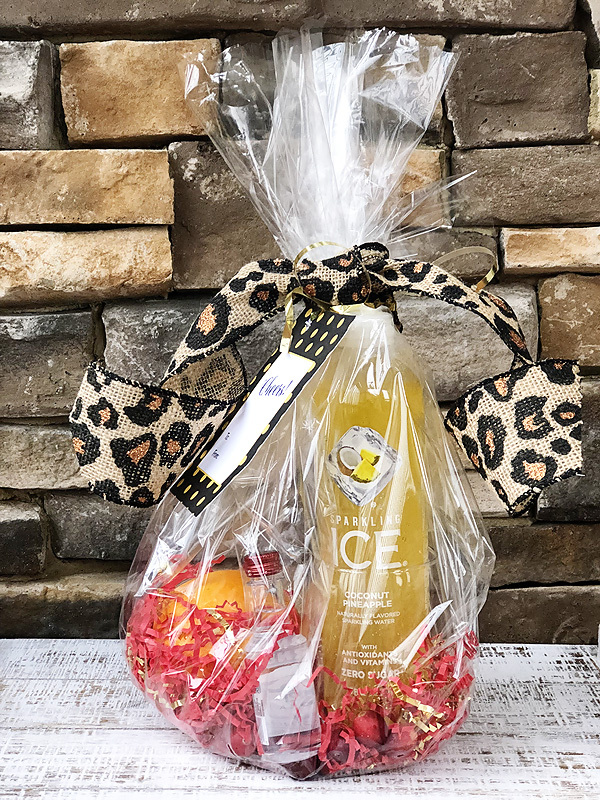 My girlfriends and I are always thinking of cute little favor ideas for holiday parties and thought packaging up a mini version of each low calorie cocktail would be a great way to spread a little mommy juice holiday cheer. Place large square of gift wrapping on table. In the middle place your Sparkling ICE bottle as the center. 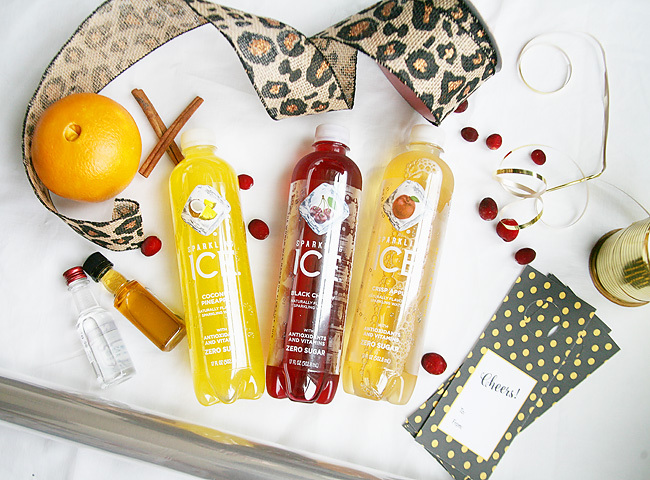 Surround with fruit, mini bottle and garnishes. Take all four corners of gift wrap and bring up to the top of the bottle. Secure with ribbon and add gift tag. Such a simple and easy gift idea! I love that my favorite daily drink is able to easily be transformed to bring a little extra holiday cheer this season. Do you have a low calorie cocktail recipe that you love? Or one that you would like to see? Do share - we are always willing to do our part to make sure everyone has a mommy juice that they love.